It was a weekend of departures for Leeds delegates heading out across Europe. As is traditional delegations heading to Village and Summer Camp waved goodbye from Leeds rail station, whilst the older young people set off from airports. 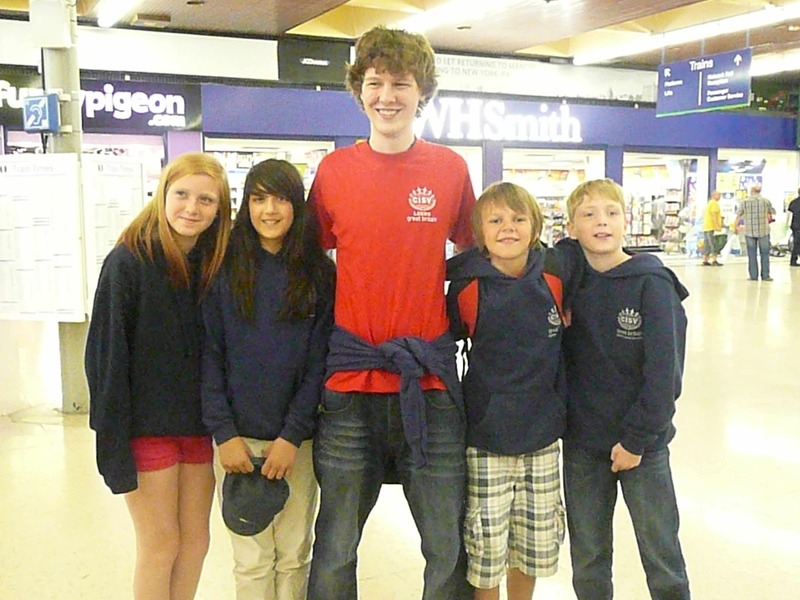 On Friday the Portugal Summer Camp delegation set off by train to London, on the first day of the Olympics! However they had no trouble getting to Heathrow airport and are safely in Portugal. On Saturday morning four of our delegates to the International Junior Branch Conference (IJBC) set off from Leeds-Bradford airport to fly to Paris. They will be spending the next few days discussing the organisational review and making sure that Junior Branch is at the heart of all things CISV. Then on Saturday afternoon the delegation going to GB Village set off on the slightly shorter, but just as exciting journey to Bakewell in Derbyshire. As the group got ready, a parent of a child who is currently at Village in Mexico with Manchester Branch saw our t-shirts and came over to chat. It was good to hear that her daughter was enjoying the Village experience. You will be able to catch up with everyone’s experiences at the Feedback Evening which we are planning for Friday 14th September at 7:00pm. Watch out for more details nearer the time.